Boulders eroding out of the hillslope and concentrated between two hills. NAC image M143480262 above, image width is 700 meters. 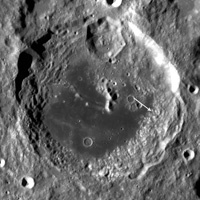 Location of the boulder field within Aitken crater. 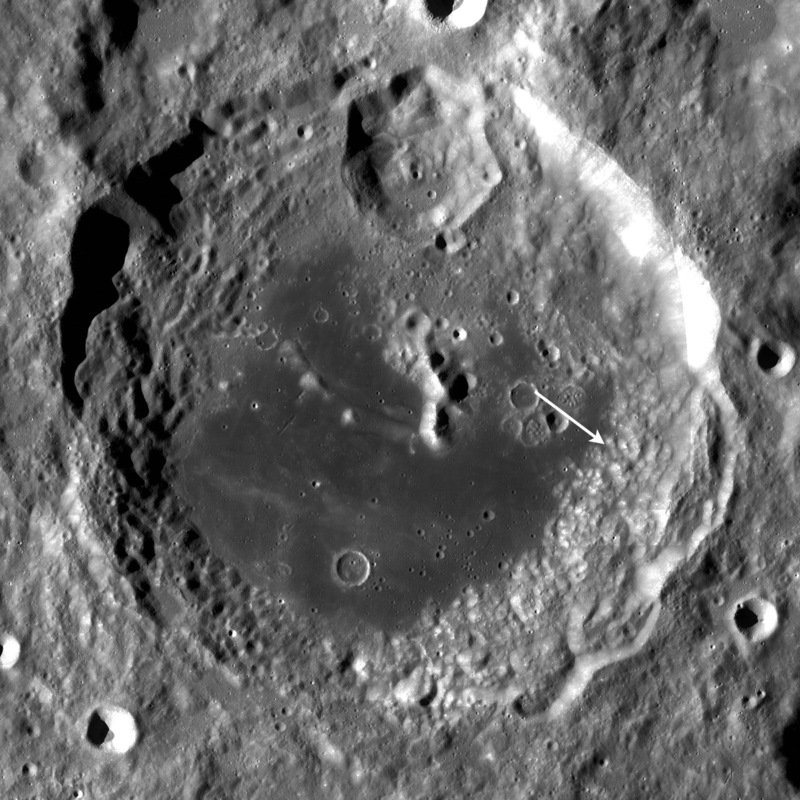 Boulder fields on the Moon are a fairly common feature. In general, large boulder fields are usually part of an ejecta deposit surrounding their parent crater or a product of gravity-driven mass wasting, where blocks on a slope are dislodged from the regolith or rock outcrops by various geologic processes (including meteorite impacts or moonquakes) and roll downhill. Since this boulder field is located at the base of a slope, it is likely a product of gravity-driven mass wasting. This field has boulders as large as 10 meters in size.